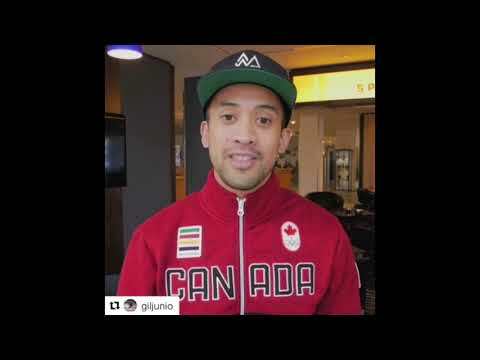 Twelve Olympic athletes took the #RecognizeYourStars Challenge in memory and support for a beloved friend and elite athlete who lost his life in a Ski Cross accident 5 years ago. TORONTO, ON, April 19, 2018 /24-7PressRelease/ -- Twelve Olympic athletes and many, many others took the #RecognizeYourStars Challenge to promote ski safety in support of the Nik Zoricic Foundation. Phil Brown, Erin Mielzynski, Marie-Michele Gagnon, Gilmore Junio, Dave Dunlop, Brittany Phelan, Kris Mahler, Jake Holden among others gave thanks in memory and support for a beloved friend and elite athlete who lost his life in a Ski Cross accident 5 years ago. Every "thank you" video or photo tagged with #RecognizeYourStars resulted in a donation by CSI STARS and Project X. These posts have added up to $2300 which will be used for the National Ski Racing Safety Net Grant Program created and managed by the Nik Zoricic Foundation. "The Nik Zoricic Foundation and their initiatives will always be a foundation I support", says Phil Brown, who led the #RecognizeYourStars Challenge. "By providing safety equipment that is up to standard they are eliminating some of the risk associated with ski racing - allowing athletes to feel comfortable in training and competition environments. Special thanks to CSI Stars for their donation, and to my fellow competitors for joining us in taking the Recognize Your Stars Challenge." To see who's taken the challenge, follow us on Instagram and Facebook ((@csi_stars) or YouTube. CSI STARS recognition, safety, wellness and performance programs are tailored to the needs of clients and their multi-generational workforce. Like a successful athlete, CSI STARS programs are lean and agile. For more information on CSI STARS recognition and reward solutions, contact Jim Brown at jim.brown@csistars.com or request a short demo. The Nik Zoricic (NZ) Foundation strives to minimize constraints faced by skier athletes on their quest for success. It aims to minimize the risk of serious accidents and injury due to lack of safe training and unsafe conditions through safety equipment grants, netting and padding loan programs. NZ also supports the growth of skiing through funds for needing and deserving athletes by providing training camps and other unique development opportunities. The Foundation supports the continuous advocacy stressing the importance and implementation of safety initiatives in sport and helps athletes achieve long-term success by providing education on the opportunities available to athletes through sport. For more information contact info@nzfoundation.ca. #RecognizeYourStars Video Mash Up! Twelve Olympic athletes took time out of their training to pay thanks forward in memory and support for Nik Zoricic and the NZ Foundation.